In case the parties in Employment Contract do not specify the expiry date of the Contract, it shall be classified to the Employment Contracts without fixed term. With the reference to Employment Contract without fixed term, Vietnam Law strictly limits rights of Employer to unilaterally terminate employment contract. Meanwhile, Employee can unilaterally terminate employment contract at any time just by send a 45 days written notice. We highly recommend employer to clearly specify expiry date of the Contract. However, the expiry date must not exceed 36 months from the signing date of the Contract. Ideally, you specify the expiry date of the Contract not exceeding 12 months from the singing date of the Contract. 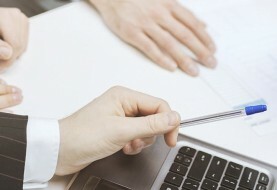 Then, upon the expiry date, the Company can consider renewing validity of the Contract. Vietnam Labor Law allows Employee to work over time. However, the over time working must be subjected to consent of the Employee. The Company must ensure that the overtime hours of the employee shall not exceed 50% of the normal working hours in 01 days, in case of application of working regulation on weekly basis, the total normal working hours and the overtime hours shall not exceed 12 hours in a day, and less than 30 hours in 01 months and the total of not more than 200 hours in 01 year. In some special cases, the Employer can ask for approval by the Government to extend the over time working, but it shall not be more than 300 hours in 01 years. Under Vietnam Law, with the reference to the Fixed- Term Employment Contract, the Employee can be entitled to terminate the Employment Contract by giving 30 days notice to the Employer. In case of Employment without fixed term, the Employee shall be entitled to terminate the Employment Contract before the expiry date by giving a 45 days notice only. – The employee fails to be present at the workplace after the employment contract suspension expires. – The Employee must be responsible for paying personal income tax incurred in relation to his wage paid by the Company. 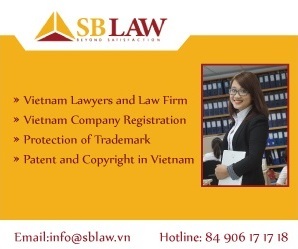 – We understand that, in this case, as the Company and the Employee agree that the Employment Contract is governed by Vietnam Law and two Parties do not provide any exception for this. 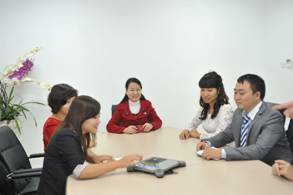 Thus, although the Company does not have any presence in Vietnam, the Company still has to pay social insurance for the Employee. – In case the Company enters into Employment Contract which has validity term of more than 03 months, the Company must be liable to pay social insurance for the Employee. Previous article How to Start Logistics Business in Vietnam?